I recently attended an Instameet, hosted by the Kansas City Kansas Convention and Visitors' Bureau, and Kansas Tourism. Although it was easily one of the hottest days of the year, the timely schedule and fascinating locations kept me preoccupied. The day was perfectly orchestrated, and I was very impressed with the hospitality and organization. The day started with meeting all of my fellow Instameeters at Memorial Hall in Downtown KCK. The details in the architecture of this building are immaculate. We boarded coaches (thank goodness for air-conditioning) and headed out on our way to explore the City. Our first stop was where the Missouri River and Kansas River converge, Kaw Point Park. In 1804, the Lewis and Clark Expedition spent three days at this location. Today, the park is active with hikers, campers, canoers and kayakers. It also features one of the best views of the Kansas City, Missouri skyline. Next stop, back to Downtown KCK. The City is full of beautiful, vivid murals displaying such significant heritage. The Avenue of Murals includes eight murals spanning the downtown corridor. Today's adventure included a stop at 826 Minnesota Ave. for the El Baile de la Vida (The Dance of Life), 2004 mural; at 901 N. 8th St. for the Kansan Printer, 2006; and, 751 Minnesota Ave. for Facing the Past, Looking to the Future: A Kansas Hmong Storycloth, 2005,. This online guide includes a map of all the murals, and a brief excerpt regarding the significance of each one. The Downtown tour would not have been complete without a meetup under the Winkler Clock. Back in the day, this icon was the designated meeting place. It definitely has a very nostalgic feel to it. The clock was originally installed in 1915 in front of the Winkler jewelry and watch repair store. I am sure you have seen the The Rosedale World War I Memorial Arch while driving on I-35 many times, but have you ever stopped? You should! This amazing monument is was inspired by the Arc de Triomphe in Paris; it's like the Arc de Triomphe, sliced down the middle. Well, and a little bit shorter. The monument was dedicated in 1924 to honor the 42nd Rainbow Division, formed in 1917 consisting of National Guard units from 26 states and the District of Columbia. 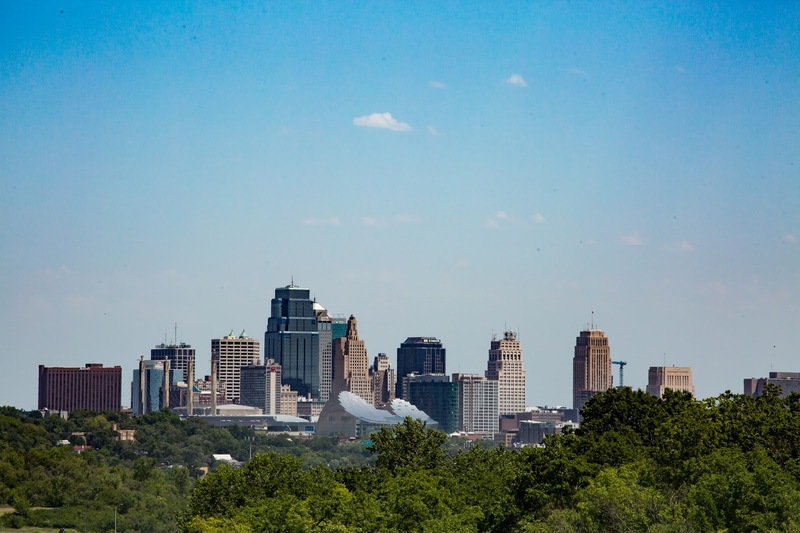 This site also offers a fantastic view of the Kansas City, Missouri skyline! 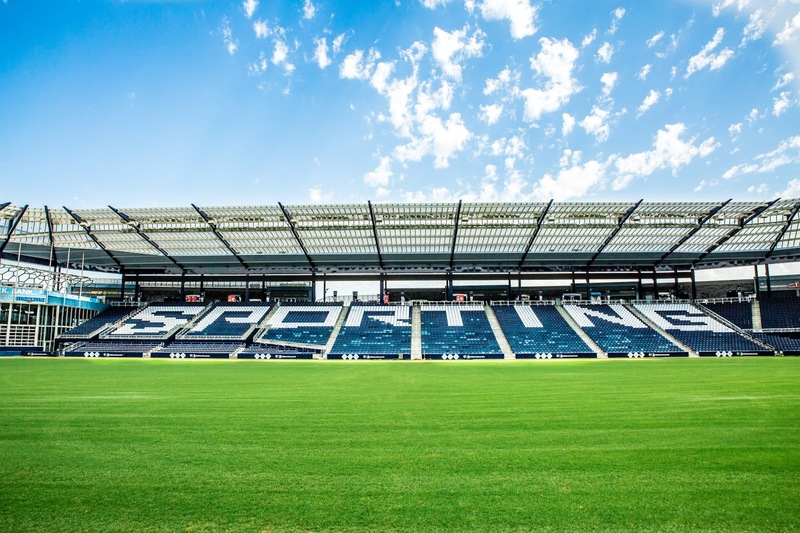 My last stop on the tour was Sporting KC's Children's Mercy Park. 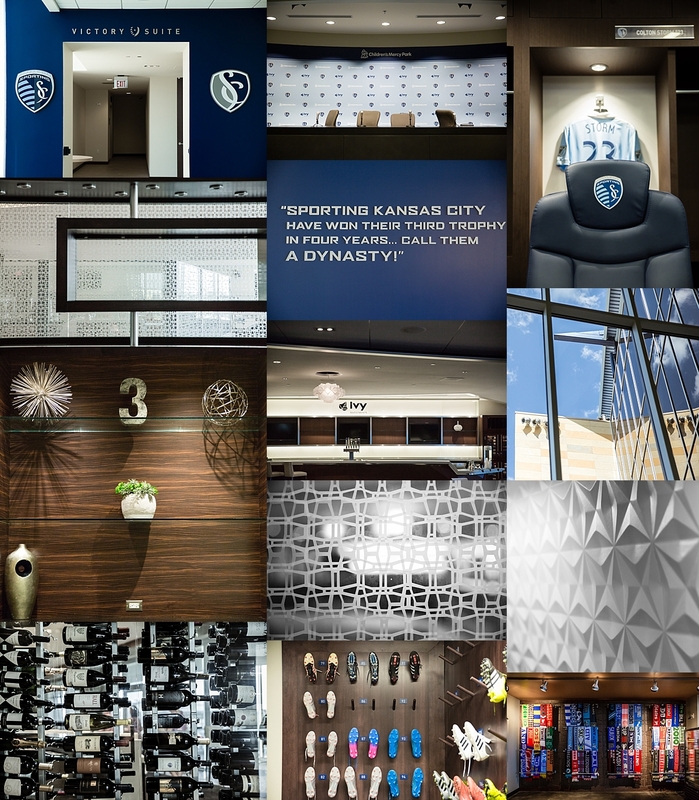 This was a fantastic behind the scenes tour of the stadium and offered insight to the team and it's ownership. It is amazing how far Major League Soccer has come in this city. As expected, I am pretty sure we have some of the best fans in the nation. 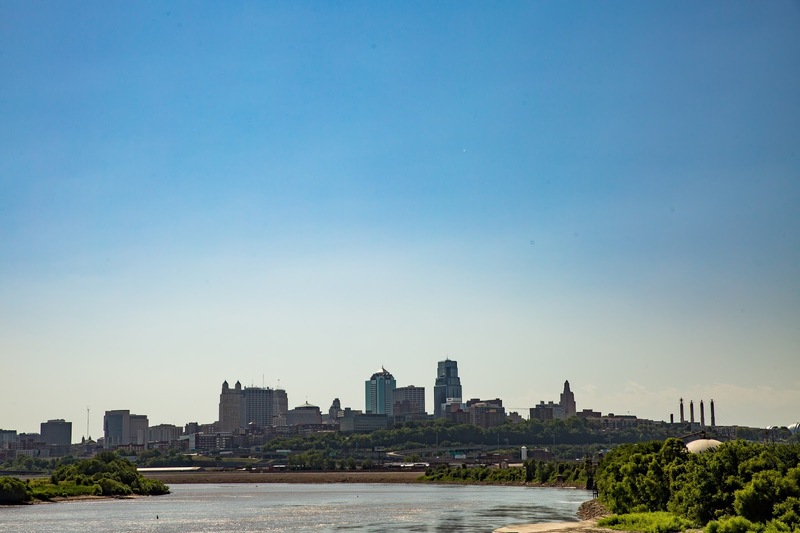 So, how should you spend a day in Kansas City, Kansas? 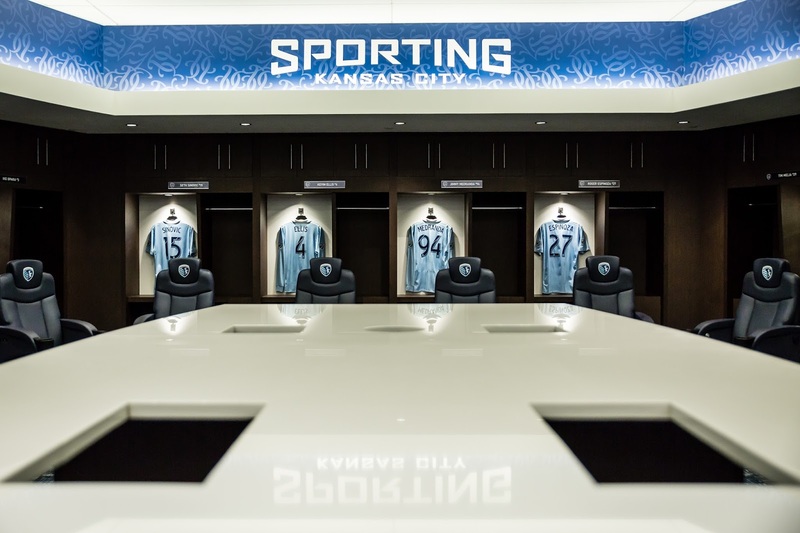 I would suggest touring the murals in downtown, having a picnic at The Rosedale Arch, shopping at the Legend's, then catching a Sporting KC or T-Bones Game. This in only the beginning of what crossing the state line has to offer! This day definitely inspired many day trip ideas including those to the Monument Rocks in Oakley, Kansas and to view the wild horses of the Flint Hills. Check out my Instagram feed for more pictures from the day and future Kansas day trips!